Home POLITICS Famous Buyende Police Officer Muhammad Kirumira Resigns As DPC. 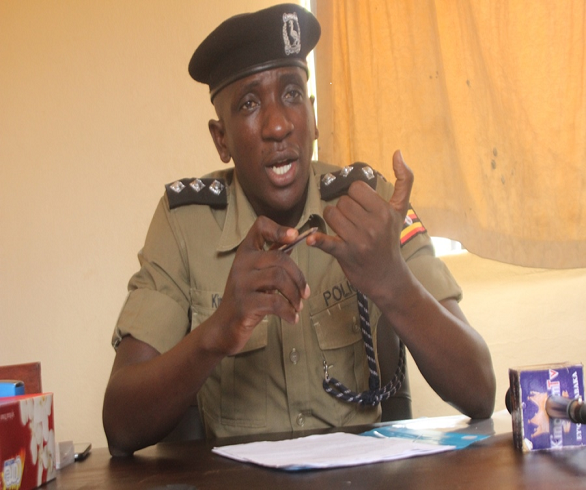 Famous Buyende Police Officer Muhammad Kirumira Resigns As DPC. Popular police officer Muhammad Kirumira also District Police Commander (DPC) for Buyende District has officially declared through his social media accounts that he has resigned his position as DPC and quit the police forces to enable police to carry out its investigations and operations in the cases he is facing. Kirumira is facing cases which include Corruption, unnecessary arrests and extortion. Kirumira, a former Old Kampala Divisional Police Commander and also police officer in Nansana between 2013 and 2016 has on many occasions claimed that top police officers have been trying to ruin his career and reputation by bringing up stories and cases that are not true and reliable. Kirumira who explained earlier that he disagrees with being charged in police tribunal over cases like corruption, extortion, torture and unnecessary arrests will be reporting to the tribunal on Thursday this week. However, today the famous Buyende district DPC came out on his social media claiming that he has stepped down to allow police to do its work. “I have resigned from the force to enable the Police court to fulfill their motives. I now await an official message replacing me such that I can hand over office to whoever is deemed fit” the embattled police officer posted on social media. READ Muhoozi: Kitatta Was a big Threat To The Country's Security. This is not the first time Kirumira being investigated about, the maverick police officer has fought robbers, rapists, prostitutes around Kampala and Nansana and at many occasions he has come out in the media claiming that some police officers are actually the criminals. Previous articleMuhoozi: Kitatta Was a big Threat To The Country’s Security. Next articleMP Beatrice Anywar Accused Of Grabbing NARO land.